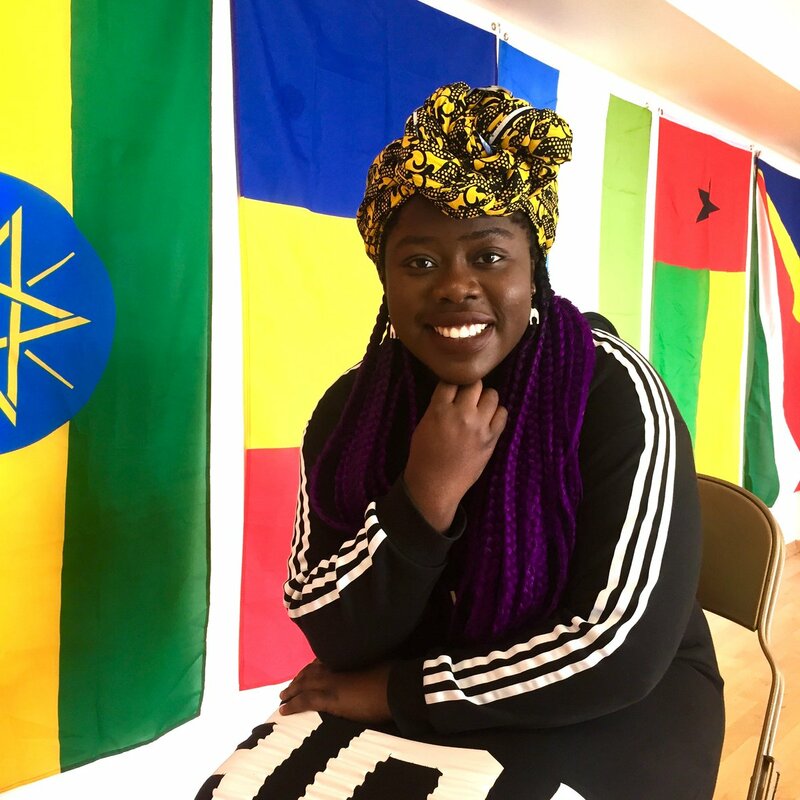 Oluwaseun Matiluko, third year Law student and member of the FACE (Forever Africa Conference and Events) 2018 Organising Committee, spoke to us about her decision to study Law at Bristol, the importance of having space to grow and developing a more global outlook in her career from time volunteering in Nigeria. What made you decide that Bristol University was the one for you? As I got all A* grades in my GCSEs I decided to reach for the stars when applying for universities, and applied to universities which had top 10 rankings in Law. My parents were keen for me to pursue either medicine or law. I opted for law in the end as it would not necessarily define my career path, as a medical degree would. I knew that I could do whatever I wanted to do with a law degree. What have you found most inspiring during your time at the University of Bristol? The power of students to create change here. At school I often felt as though my options were limited and that my thoughts and ideas were not taken seriously by the people around me. At Bristol I have found space to grow and have been offered a variety of support from people to bring the ideas in my head into real life. At Bristol I have been able to organise a Black Lives Matter vigil, at which the Mayor of Bristol spoke, within 2 days, a sold-out keynote speech from musician and public speaker Akala and facilitate the introduction of a new module in Law and Race at the Law School. We understand you recently went to Nigeria for a volunteering assignment. Why did you choose to travel there? My mother is an obstetrician and gynaecologist. She went to Medical School in Nigeria but was employed and underwent post-graduate training in the NHS in the early 90s. Despite relocating to the UK she is still a very proud Nigerian and was disheartened to see the issues that the Nigerian healthcare system has struggled with over the years. One of these issues is Nigeria’s high maternal mortality rate. According to World Bank estimates 1 in every 22 women in Nigeria has a lifetime risk of maternal mortality. In the UK the statistic is one 1 in 7,900 (2015). Nigerian women have a higher risk of dying in childbirth than women in Afghanistan and Syria. As an experienced obstetrician and gynaecologist she knew that many of the causes of maternal death are avoidable, if doctors can see the signs and are equipped with the knowledge of how to deal with them. In 2008 she set up her own charity and invited some of her British colleagues to travel with her to Nigeria to teach Nigerian doctors, midwives and nurses lifesaving techniques. Since 2008 she has gone to Nigeria at least once a year to deliver these training courses and I have accompanied her on several of them, acting within an administrative role as well interviewing doctors and Government officials in Nigeria to provide my mother with further insight on how to further empower Nigerian medical professionals. Has the experience influenced your thoughts about a future career? Yes, being British born and bred I haven’t had many opportunities to connect with Nigeria and Nigerians. Travelling to the country and speaking to professionals there, rather than just my family members, really enlightened me about the infrastructural, political and economic issues Nigeria faces on both the continental and global stage. Many law firms, and indeed many businesses, are expanding and opening offices in Africa and I predict that in the future many more will follow and will open offices all across the continent. If I continue on in the legal profession I think that, if I follow the path of a solicitor, I’ll apply to law firms who have realised the exponential potential in Africa and, if I follow the barrister route (which is likely what I’ll do) I will apply for pupillage at firms who have clients who engage regularly with Africa. You are a poet. Has the experience in Nigeria inspired new work? - Nigeria is a British construct. The British, the French and the Germans and others all sat together in Berlin carving out artificial lines in the sand. A British woman called Flora Shaw saw the Niger river and inventively decided to add an “ia” to the end of it, resulting in the newly formed country being called Nigeria. Despite achieving independence Nigeria is indelibly linked to the UK . How far can we say that the independence project has really gone, when many African states are not truly decolonised and are still adhering to the model that their former colonial masters left them? - My ethnicity is Yoruba. Yoruba people come from all over West Africa (separated by artificial European borders) and were one of the first groups to fight against British colonisation. If my ancestors, who fought against becoming British, were alive today how would they react to me wanting to claim a Nigerian-British identity? - The British Royal Family is undoubtedly a symbol of the British Empire, which colonised and disenfranchised many peoples around the world. Yet, during the latest Royal Wedding many formerly colonised peoples, including myself, were fixed to our televisions with glee. Many scholars, including Mahmoud Mamdani, have spoken on how colonial organisation involved both the colonisation of land and minds. Are the minds of many former colonised peoples still colonised to the extent that they reify the British royal family, despite other royal families around the world (particularly in Africa) having objectively more political and structural power in the organisation of their countries? How do I reconcile the celebration of that family that whilst being a descendant of people who that family subjugated? What are you most looking forward to on return to University in September? This past year I was a on a year abroad in Spain and so I’m really looking forward to coming back to Bristol in general, and reconnecting with all of my peers. I am really happy about all the modules I’m going to study next year but I am most excited about studying the new Law and Race module- a module that myself and my friend Sheila Bamugemereire inspired! I was one of 3 Law students selected for the funded Interdisciplinary Research Internship Scheme this summer, and my project was focussed on Afrofuturism, jurisprudence and Western and African conceptions of feminism and so I am hopeful that I will be able to apply the reading I have done for this to my Final Year Research Project on Decolonisation. What are your plans for the future, do you have any long-term goals? I hope to study a Masters in African Studies with the aim of pursuing a PhD. My long-term goals are to make a name for myself in journalism as well as getting more and more involved with politics. Check out Oluwaseun's poetry anthology titled 'Identity' on Amazon.